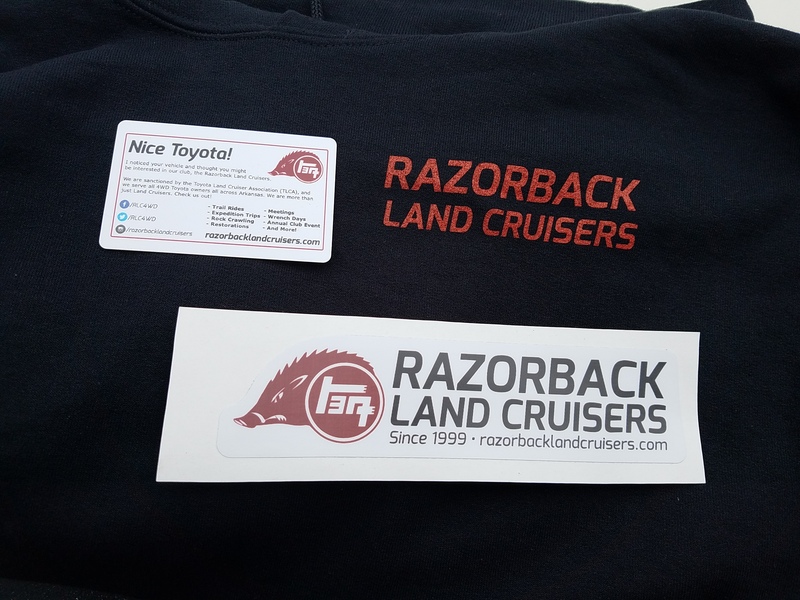 One year membership to the Razorback Land Cruisers costs $30 and includes one 2018 item and club sticker. 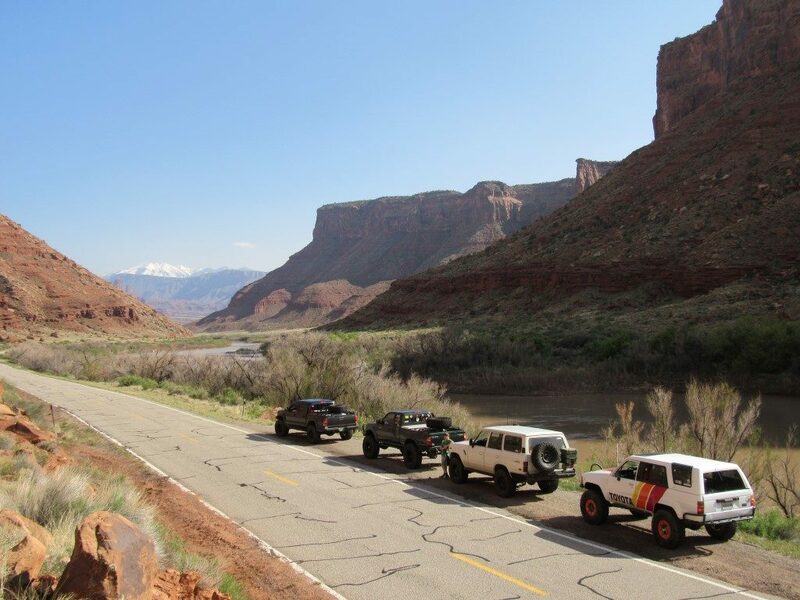 Membership in the Toyota Land Cruiser Association (TLCA) is required by RLC By-laws. New TLCA members must submit their TLCA number when received. Visit the TLCA web site (http://www.tlca.org) for TLCA membership information. 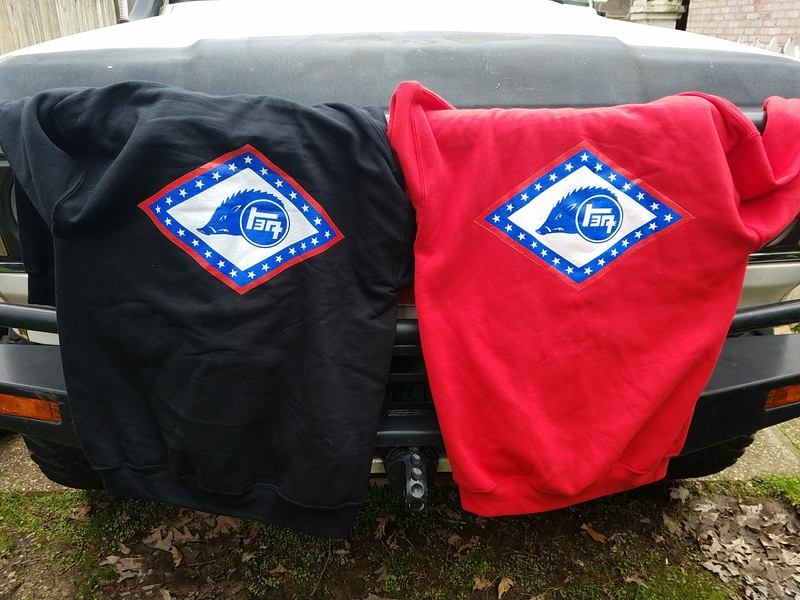 Includes 1 2019 edition sweatshirt/hoodie, 1 club sticker, and a handful of waterproof cards to hand out to people or place on windshields. 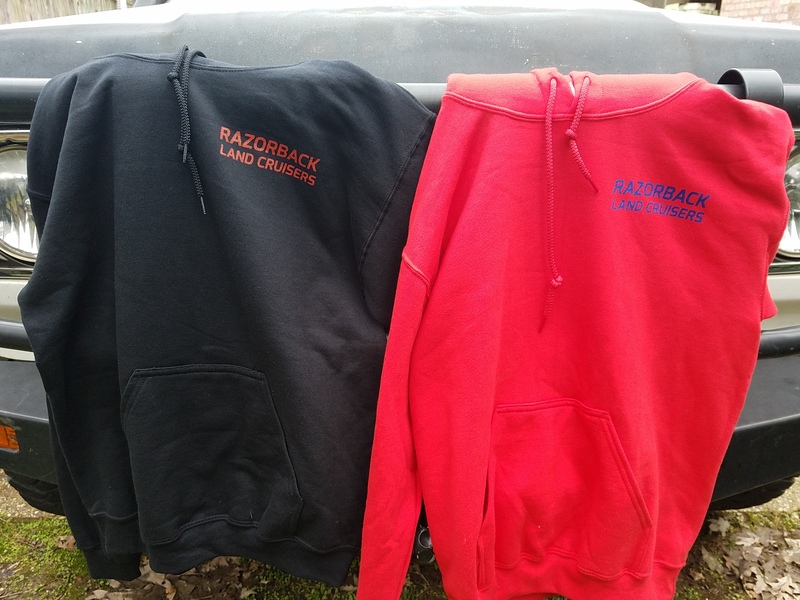 We have regular sweatshirt/hoodies in black or red, and we have full zip up versions in black (not pictured). There are a limited supply of the full zip versions. NOTICE: Black Medium is out of stock. Medium and 2XL are the only sizes left in the full zip version. 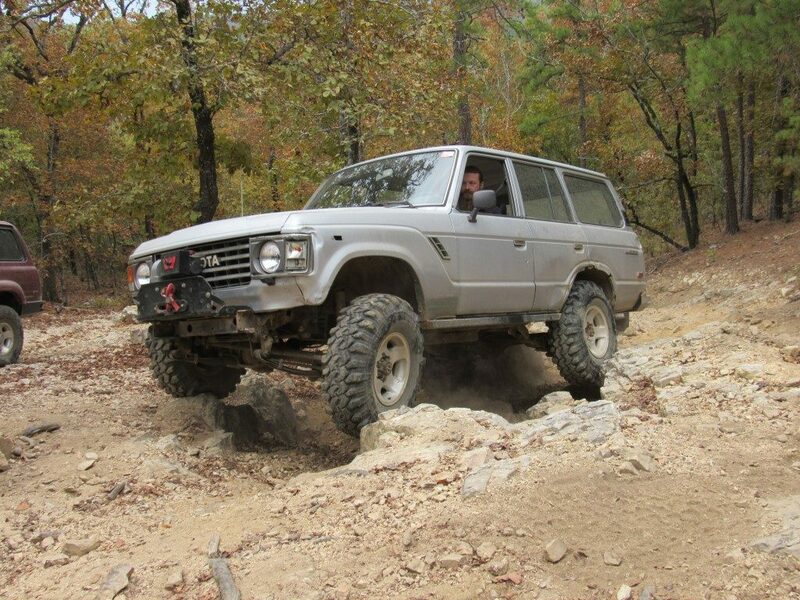 Little Rock Area – Every 3rd Thursday at various locations around Little Rock. Check our forum, Facebook page, or sidebar on the homepage for current location. Meeting time is 6:00 PM. Look for folks wearing RLC gear! Northwest Arkansas Area – Every 3rd Tuesday at various locations around Springdale or Fayetteville (Sometimes at a members house). Check our forum, Facebook page, or sidebar on the homepage for current location. Meeting time is 6:30 PM. Look for folks wearing RLC gear!